Shellshock bash vulnerability bigger than recent Heartbleed. Another new security flaw has been discovered and made public today in what is probably one of the most widely used interfaces – the command-line shell used in many Linux and Unix based operating systems, including the vast majority of web servers and also MAC systems. It has been described by researchers as ‘bigger than Heartbleed’ and could be a major issue for digital companies, small and large-scale web hosts and even the huge number of internet-connected devices that often use Unix based systems. Like Heartbleed, Shellshock is a pervasive flaw that security researchers have said has been in existence for at least twenty years but also say will take years to fix properly. The responsibility to do so is generally outside the control of most users though : for servers it rests with systems administrators ; for MAC OS based systems, it rests with Apple themselves ; for other devices it rests with the manufacturers. There are many warnings that even though the vulnerability’s complexity is low, the ease of exploitation and the wide range of devices affected (think along the lines of almost every router, home streaming system or any one of a number of internet connected systems we now use) require that system administrators and manufacturers apply and push patches to affected systems immediately. All Havenswift Hosting managed servers – so that includes all Shared Hosting, Reseller Hosting and managed customer dedicated servers – were already patched before this announcement earlier today ! If you run an unmanaged server then you are very strongly advised to check for, and obtain a patch as soon as possible. If you use a MAC running OS X then you are almost certainly affected by this same issue and it can be tested in exactly the same way. 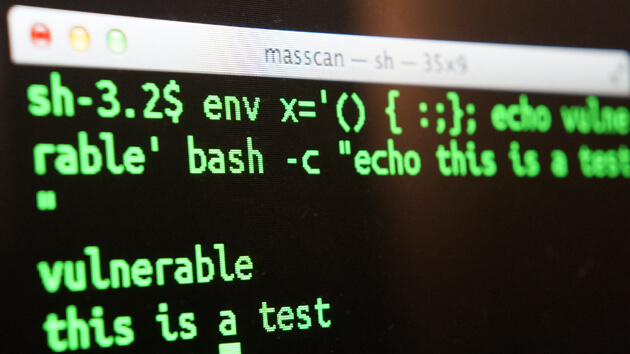 It is possible for any user of a MAC to patch the system themselves but this involves recompiling bash, which will be far beyond the average use. Fortunately it is expected that Apple will patch users quickly through their well-proven update mechanism. That is what I like about havenswift – proactive where security is concerned. Thanks for the timely article. Amazing how many of these newly discovered vulnerabilities have been there for years!